Last night, His Holiness the 14th Dalai Lama opened the One World Concert with his peaceful, spiritual charm, his contagious laugh and the Syracuse Orange visor he wore for his entire speech. Prior to admitting that he is not the right person to ask how music affects the soul because he simply “is not interested in music,” he spoke on the idea of teaching our younger generation morality through education. “Our system is lacking moral education,” he says as the crowd applauded in approval. His Holiness stressed that religion is and will never be a universal form of teaching morality, but education can, and each of us have the potential to help fix this issue. With education, he says that we can use science and purpose as a method of instilling this idea among our youth. His Holiness concluded his speech around 8:50pm (which was well past his 7pm bedtime) and Whoopi Goldberg took the stage as emcee. After cracking a few jokes and warming up the crowd Whoopi introduced all of the night’s performers. Once they were all on stage, they proceeded to play a rendition of John Lennon’s “Imagine” to celebrate and remember his birthday. There are hardly any words to describe the experience – having this performance follow the Dalai Lama had emotions running high. I found myself tearing up and chills running down my spine while feeling empowered and motivated to make a difference in the world. I’m sure this was an experience that everyone in the Dome that night won’t forget. 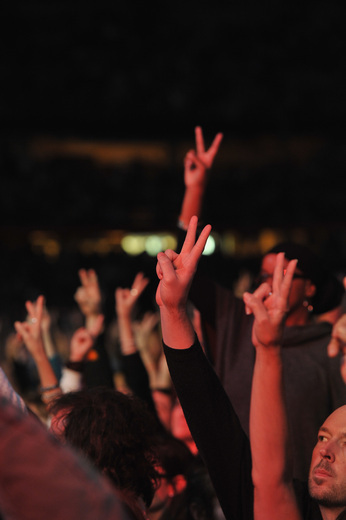 Following the united performance, artists such as Dave Matthews, Natasha Bedingfield, Phillip Phillips, Matisyahu, Nelly Furtado, and many more performed number one singles that pictured the idea of peace, acceptance, strength and forgiveness. One by one, each song seemed to swell the emotions of the crowd. Dave performed his recent single “Mercy,” after confessing that he has taken a lot of his better lyrics from His Holiness. Matisyahu sang “One Day,” which expresses hope for a day where there would be no wars and all of our children would be able to play together without discrimination, hate and violence. Clearly reflecting the ideas of the Dalai Lama, Matisyahu seemed to hit home. The crowd continued to roar with excitement when artist Andy Grammer, American Idol winner, ran through the audience during his hit single “Keep Your Head Up.” The inspiration did not stop here, the concert was expected to end at 11 PM but instead lasted until 11:46 with no sign of the crowd losing their energy. Even though each artist moved us with their music, before the concert, singer Natasha Bedingfield said “I think music is quite a powerful thing, it crosses cultural boundaries, it speaks in different languages and touches you in a way even if you don’t understand what they are singing about, you can feel the emotion.” What Natasha said truly summed up the entire concert before it even happened. Even if you had never heard the songs played that night or understood the language they were singing in, you felt those same emotions that every other person felt at that moment in time. Jesse Tyler Ferguson of ‘Modern Family’ visited ‘Cuse last week, and was well-received by a crowd of over 1200 people in Goldstein Auditorium. The evening kicked off with Ferguson talking about his ‘Tie the Knot’ campaign, with conversation topics moving from marriage equality legislation to New York theater to the experience of sharing a bed with George Clooney (“…delicious”). All the indie fame generated by ‘Modern Family’ has pros and cons attached, though. 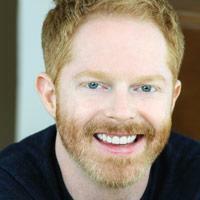 Jesse Tyler mentions a brief (read: borderline traumatic) experience. A woman who was in the process of getting felt up by a TSA agent at the airport did a 180 degree turn to petition him for a picture and/or autograph. “I was like, uh….I’m gonna wait until you’re done”. Despite the occasional awkward fan encounter, Ferguson loves and appreciates his fans. 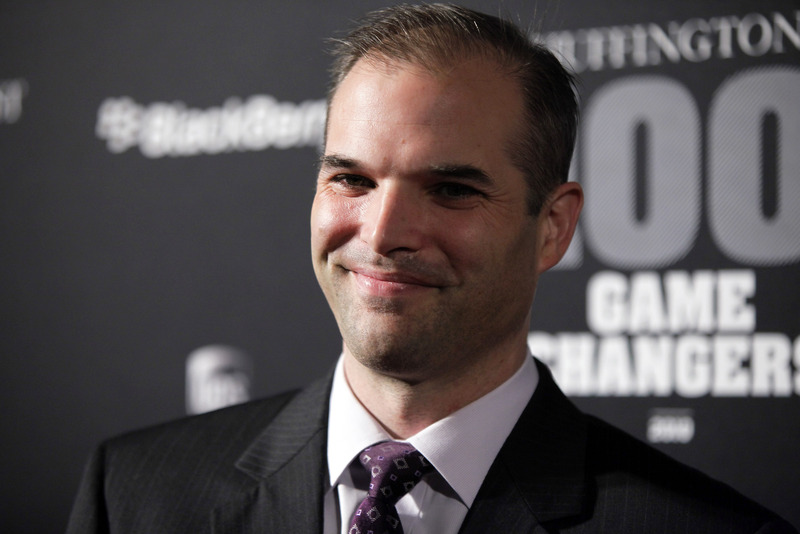 He remarks, “I hope that everyone in this room will have the chance to have a complete stranger come up to them and say ‘I love what you do’”. As much as the title says it all, and elaboration is not necessary, don’t doubt I will spend the entirety of this article bitching about how difficult it is to go out under the stiffening practices of increased DPS officers. While I do appreciate the commitment to student safety that DPS undoubtedly has, it is more than annoying that every party for the past two weeks has been shut down after merely 20 minutes. We get it, gang violence, though they will not admit it, has DPS worried. They have increased their staff, lengthened their hours, and cracked down on practices. But where in their new and improved safety contracts does it say that on and off campus parties are a threat to be reckoned with? If they are worried about gang members, or any other non-students making their way into parties, then have DPS monitors at the entrance, requiring a SUID for entry. That procedure was practiced by DPS last year at major parties, and from what I remember about one of those parties, is that there were no problems whatsoever. If parties need to be more closely monitored this year then so be it, but don’t shut every single one down! Partying is a necessary part of college life here at Syracuse University, and for over 50,000 a year we deserve the right to do so. We have an incredibly active Greek life on campus, as well as major Fiesta Frog party networking, so the chances of us not partying are slim. DPS is just making it unnecessarily harder, by breaking up even the most innocent of gatherings for absurd reasons. We understand safety of campus events is in jeopardy, but we are students here and if were not too worried about it then others shouldn’t be either! 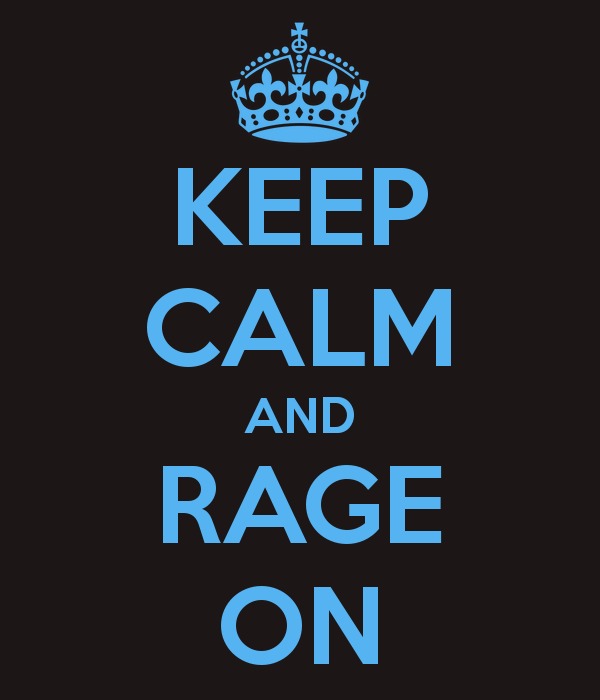 Keep Calm and Rage On. You can read all the Rick Steves you want but that still won’t prepare you for studying abroad by any means. One thing I’m sure of is the ease at which I am capable of sticking out—even worse than as the pale, capri-pants and fanny pack wearing, map-in-hand tourists speaking broken English in the middle of Times Square. The easiest way I can describe Madrid to those who have never been is by saying it is the Spanish equivalent of New York City. Every metro stop I happen to surface from seems like a different place entirely. Old Madrid resembles some small neighborhoods of Florence, Tribunal is Spain’s alternative to Brooklyn, while my neighborhood Moncloa feels like a suburb. Attempting to look like a fierce Spanish woman is nearly an impossible feat. Especially since I’m blonde and my roommate is a ginger—extremely exotic in Spain. Alas, I have learned the following lessons. Do not ask for anything ‘to-go’. It does not exist in Spain. The idea is if you have 5 minutes, you sit and enjoy your coffee at a table. Definitely do not bite into any fruit… here they use forks and knives to eat apples, bananas, oranges, and kiwis etc. You also can’t wear t-shirts, sweats, or workout clothes in public… you will be stared at. Although, if you’re a girl you’ll be stared at regardless of what you’re wearing. In Spain the national sport among men is staring. It’s how they flirt—a full on death rattling intense stare. If you catch a glimpse its so uncomfortable that I’ve learned to just look at the ground. There is the occasional time where the guy is attractive… then its oddly flattering but still deeply weird at the same time. But men will take off their sunglasses while looking you up and down. And if you run into a particularly ballsy fellow he will wag his tongue at you. Another aspect of Spanish culture I find hard to understand is the fact that you will find couples of all ages, sucking face hard in public. Everywhere at anytime of day. On the metro, waiting for the metro, on a street bench, in cafes, on street corners, in markets and in the parks. Well, in Spain it is common and quite acceptable to live with you parents until you are married—even if that means into your late thirties. So that means couples take to the streets of Madrid. Despite all this, I have managed to fall in love with this city. How could you not? The park next to my house has Egyptian temple ruins. Where else in the world could that happen? 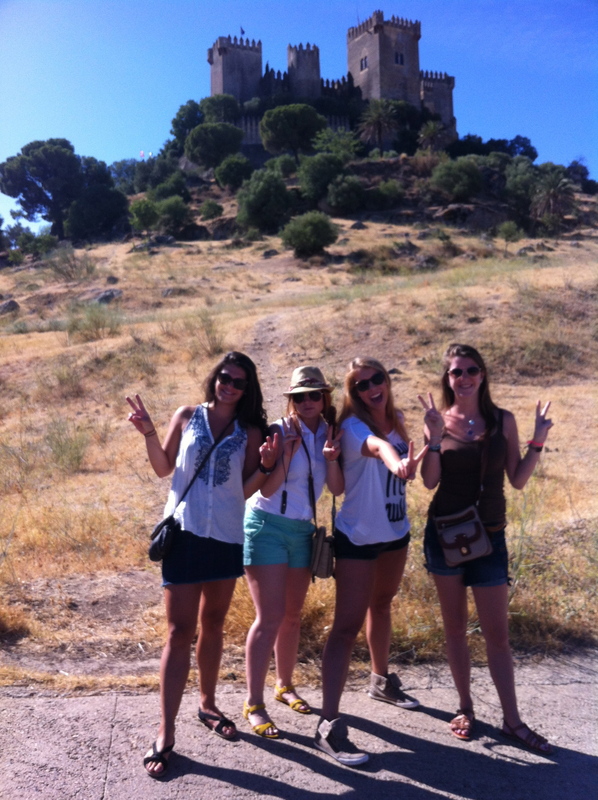 The culture of Spain is fast and slow at the same time- if that seems possible. Swimming is a sea of people in the metro, you don’t want to go against the current. But drowning out the sounds of El Retiro’s vendors, tourists and little Spanish children by taking a nap underneath a tree that mosaics the sun with its leaves nearly makes time halt. My typewriter sticks when I use it for play. I have just invested in a new MacBook that was shipped to my door; all I had to do was click a few keys, type in some numbers, watch my bank account drop significantly and it arrived. I am too lazy to buy a ribbon and some ‘grease’ for my sticky typewriter. Simple and sturdy, manual typewriters are returning to the tips and taps of people’s fingers. 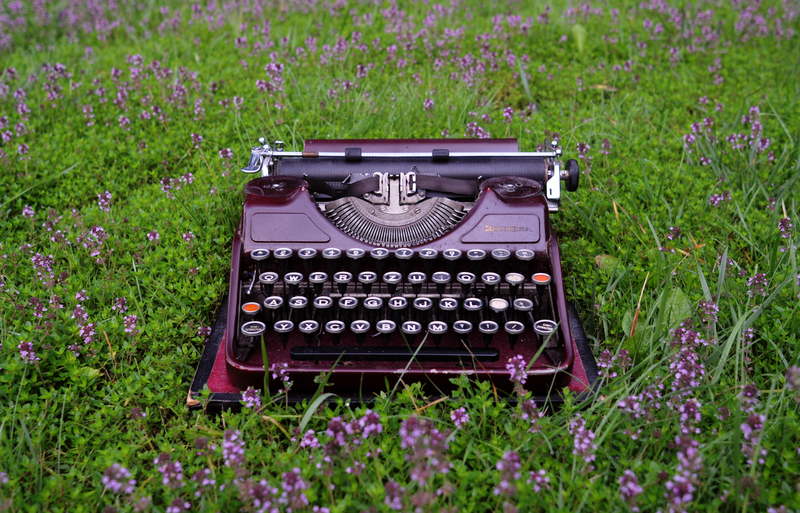 Despite not being able to do anything more than type, they have returned as vintage machines – some especially cheap – commonly used for letters, novels, and often times for blogs. There’s a punch. Typewriters are more like luggage; the typing sound is more of a loud note on the musical scale and mistakes are apparent even after they’ve been deleted. But the distractions of YouTube funniest videos, surfing the Internet and Skype have been eliminated. The importance of font, typeface and size are concerns for the more advanced machines. And if one were to try and hack into a typewriter, they would only get to the ribbon. Yet for some, the typewriter creates an almost romantic experience with one’s words – watching character after character take shape on the paper. No automatic spell check to interfere with one’s creativity; the lines of green and red underlining words and sentences with mistakes and more often then not, pressing ‘ignore’ to get rid of those distracting squiggles. It is the content that matters and without the bright computer screen, the instrument becomes this physical thing, not a thinking thing, but a fosterer of words that perhaps makes what one is trying to say more clear. But while I write here, I’ve taken several breaks to check my e-mail. I’ve searched online to see why on earth people are using these obsolete machines that in this century will perhaps foster one’s creativity but makes everything else more difficult. Without a doubt, if you’re one to use this machine, you’re going to fall behind with technology because no chance are typewriters coming back to compete with Apple’s newest designs. A bunch of drunken jerks and some employees stood in line for one of the fifteen porta-potties that sat neighboring one another at Syracuse University’s Juice Jam event. I stood among these jerks, frustrated that it wasn’t okay that I pee in the woods. I was nervous to enter into a mess of feces and stench – as I would most likely feel ready for a shower immediately afterwards. Awaiting terror, I was shocked by the flowery scent that leaked out as I opened the plastic green door to step into the luxurious toilet box. Without a doubt, these were the nicest of porta-potties I had ever used at any triathlon or outdoor event. 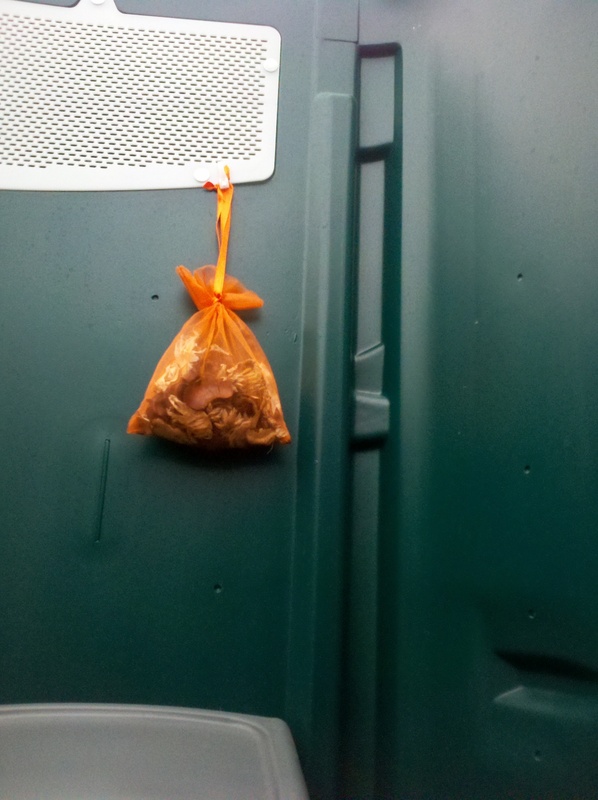 Potpourri hung from a tack on one of the green, plastic walls in an orange sack that went well with the Syracuse paraphernalia that hung directly above the seat. Fake flowers of blue and orange in the upper left corner and a soft carpet on the ground to console my filthy feet. Hand sanitizer, paper towels, obvious toilet paper was guaranteed. These may have been some of the nicest bathrooms on campus but only for a short while because in no time drunken jerks were rushing over to use it for other reasons, while employees watched the shift from luxury to mess. Now it only makes sense as to why they chose to hang such a flowery scent.